Our thumbs are complex instruments; we need big brains to control them. Are they the reason behind the evolution of superior human intelligence? 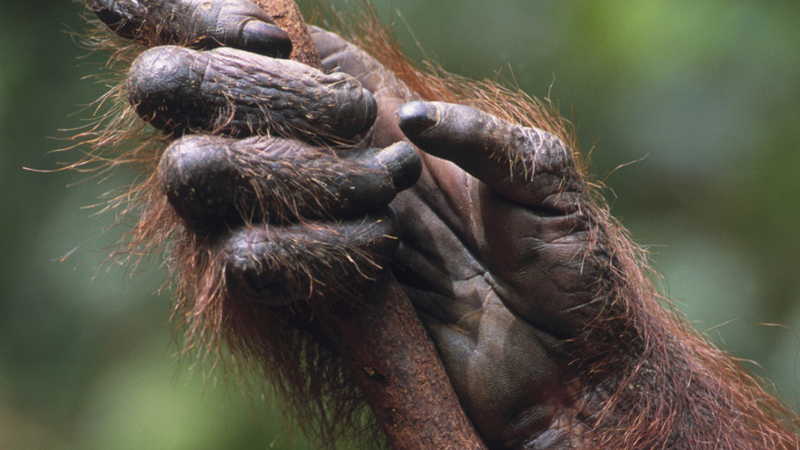 The evolution of our hands and our large brains are closely interlinked. A chimp's thumbs are short, allowing them to walk on their knuckles - but preventing them from manipulating objects. Humans have long thumbs that allow us to hold and manipulate objects. This dexterity proved a key driving force for human intelligence as we found new ways to use our hands. More than a quarter of the bones in your body are found in your hands, with 27 bones in each. Your hands also contain three main nerves and two major arteries.